I hope you find the information on this website helpful, introducing many of our events and activities. We are an Anglican family church with activities for all ages and interests, for young adults, families or more elderly members. So at all of our Sunday services and in our small groups we want to understand Jesus more clearly and grasp the difference he can make to our lives. That is why we have as our vision statement, “To make a difference wherever we are as we share Faith for Life”. 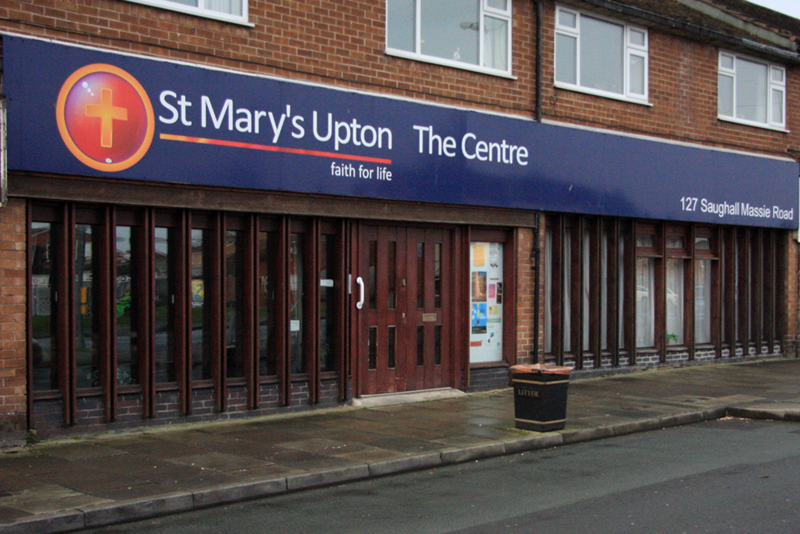 Whatever your connection with us at St Mary’s I hope you find us friendly and welcoming. Please let us know if we can help you in any way. The simple answer is that we seek to live as followers of Jesus Christ. We believe that our faith is not reserved only for Sundays but is relevant and real for life throughout the whole week. However, Sunday worship is a vital activity for the church family, when we come together for worship and to be built up in our faith. All ages are part of our activities – we are a church family. Christians from our church are active in every place during the week. At home with children or elderly parents, caring for those in need, in shops, schools, hospitals, businesses, studying… We believe that our faith should make a difference wherever we are. Our midweek activities are there to support people as they live for Christ. We believe and trust in God the Father, source of all being and life, the One for whom we exist. We believe and trust in God the Son, who took our human nature, died for us and rose again. We believe and trust in God the Holy Spirit, who gives life to the people of God and makes Christ known in the world. We believe that God wants us to make a difference in our community through our work, worship and witness. We believe that people can know God today and that He can change our lives. We believe that He wants to offer everyone the gift of new life. If you do not know Jesus, we would love to tell you more about Him. Contact one of the Clergy at the Church Office, you could always pop-in and see them during Clergy Hour; 4-5pm on Wednesday. The Alpha Course is an excellent way to explore the Christian faith. Other helpful websites are ReJesus and Looking for God. The vision of our church is to make a difference wherever we are as we share faith for life in Jesus. The church is part of the solution for building community blessing at a local level. The common good of the community and justice are absolutely central to what it means to be a Christian. Loving God and loving neighbour go together like the warp and weft of a piece of fabric. 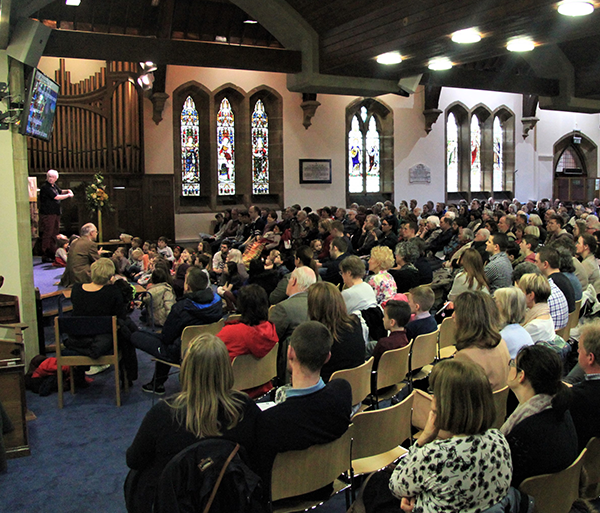 Babies, children and adults are baptised at our church. Sometimes a baby’s baptism is referred to as a Christening. If you would like to find out more, please phone the Church Office on 0151 677 1186 to ask about booking and preparing for a Baptism. 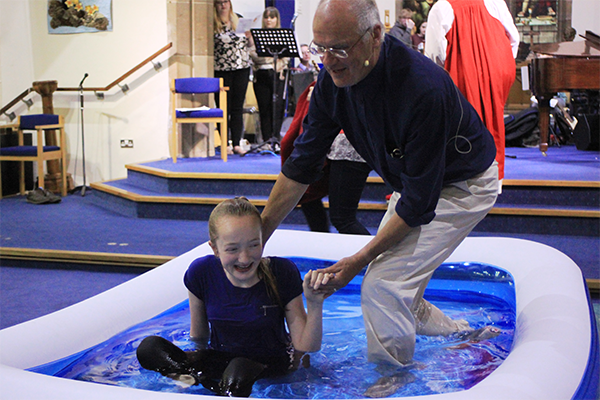 Adults are often baptised once they have made a clear decision to follow Christ. 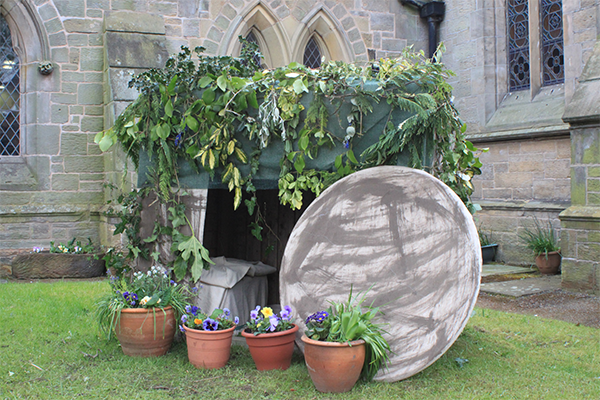 The baptism will either take place in our pool in church (as shown in the pictures) or standing next to a small bowl on a wooden stand (a font). 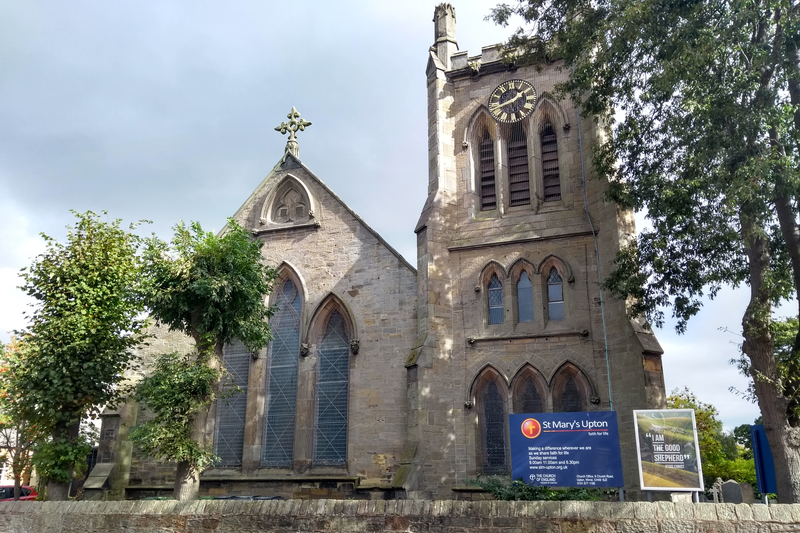 Following an enquiry, in preparation for baptism, we invite parents and their child/children to come along to one of our Morning Worship services where they are met with a warm and welcoming response. The 11am services are very ‘family friendly’ and we also have toys and crèche facilities which encourage parents to feel at ease during the time of worship. Following the service, arrangements are made to visit the parents to discuss the process or any concerns they may have regarding the church’s policy on baptism. Prior to the baptism, we also offer a ‘Thanksgiving’ for the birth and life of the child. At this ceremony, we name and pray for the family, that they may know God’s love and protection. We have a team of sponsors who are committed to support each family through the steps towards baptism and care for them pastorally. Parents who decide to have their children baptised will need to attend a preparation evening. It’s quite informal and involves watching a video called ‘First Steps’. This explains the meaning of baptism so that parents can understand the promises they will be making on behalf of their child. It also gives an opportunity to discuss things more in depth and enables them to understand how important it is to help their children growing up in the Christian faith. Baptisms usually take place on the first Sunday of the month at the 11am morning service. This varies around Christmas, Easter and August. The Alpha Course is an excellent way to explore the Christian faith and living as a Christian in today’s world. We recommend to adults thinking of baptism or confirmation. Parents bringing their children for baptism are helped to understand what it means to bring up their children as Christians. For more information have a look at the Church of England Christenings pages here. In baptism, you as parents are thanking God for his gift of life, deciding to start your child on the journey of faith and asking for the Church’s support. For your child, baptism marks the start of a journey of faith, which involves turning away from the darkness of self-centredness, turning towards Christ and becoming a member of the local and worldwide Christian family. Baptism is a visible sign of God’s love. In baptism, we are thanking God for his gift of life and publicly acknowledging his love. We are acknowledging that we all need to turn away from the darkness of evil and to make a new start with God. Jesus was baptized in the river Jordan. This was a turning point in his life (you can read the story in the Bible here (at the beginning of Mark’s Gospel in the New Testament)). Jesus told his followers to baptize others as a sign that they had turned away from their old life, and begun a new life as Christ’s disciples, members of his Body, having been assured of God’s forgiveness. Baptisms often took place in a river: new Christians were dipped under the water, marking their death to an old way of life, and lifted up again as a sign of new birth. When you bring your child for baptism, you will be asked to declare publicly on behalf of your child that you believe in God and that you will bring your child up to follow Jesus. You will be asked to answer, on your child’s behalf, that you have decided to turn away from everything which is evil or sinful and to turn instead towards Christ. The declarations made by you and the child’s godparents will be made in front of the church congregation. The Christian community will promise to support you and to pray for you and your child. The service leader will ask the following questions of parents and godparents, the response for each question is written in italics. Q: What’s the difference between a baptism and a Christening? A: None, they are just different words for the same thing. Q: What is the right age for baptism? A: Baptism can happen at any age. What matters is that those concerned believe it is right to ask for baptism. A: The Baptism service is free. Q: What is a godparent? A: Godparents make the same promises on behalf of the child being baptized as parents. Godparents promise to pray and support the child and to help the parents to bring up the child in the Christian faith. It is an important and responsible role. Q: Who should I choose to be a godparent? A: Godparents can be family members or friends. However, it is important that you choose people who will take an interest in your child’s spiritual welfare and who will pray for you and your child. They should be baptized themselves. Q: What happens after the baptism? A: Baptism marks a new start for your child, as a member of the worldwide Christian community. In turn, the Church welcomes you and your child and promises to support you in bringing the child up in the faith. 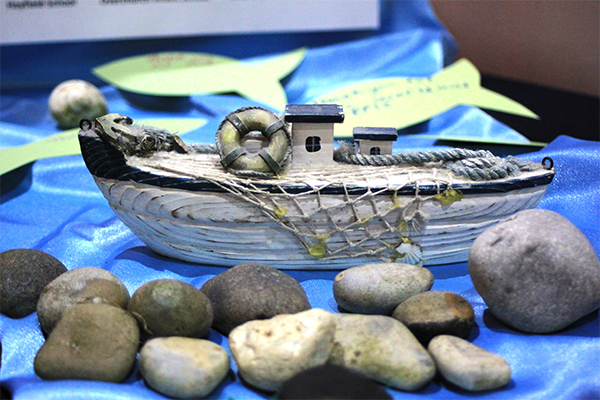 Both of our congregations have services where children are welcome and special groups and activities for them. 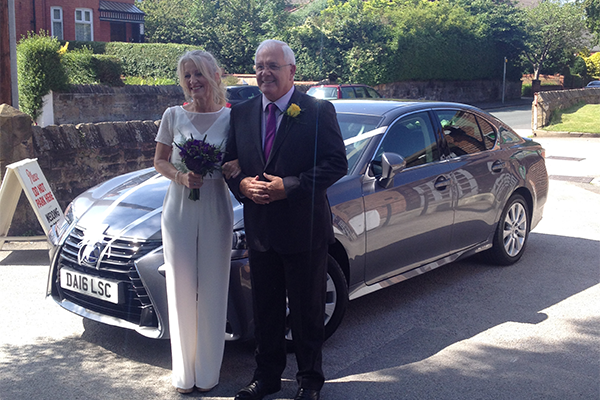 Phone The Church Office on 0151 677 1186 to ask about booking a Wedding. 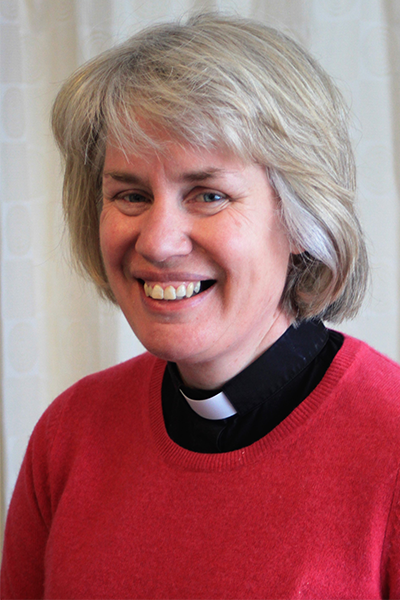 The following information is taken from the Church of England website. 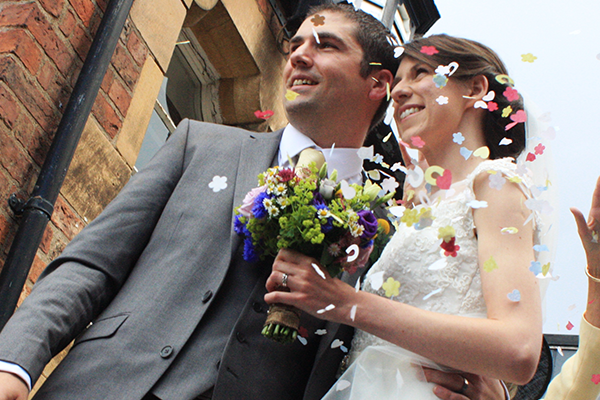 For more information on a church wedding, head over to the designated page from the Church of England. 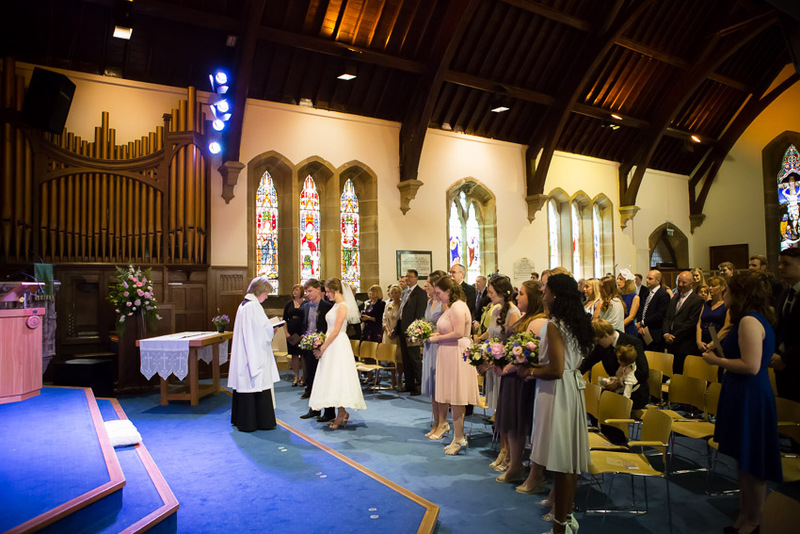 You are entitled to be married in the church of the Church of England parish where one or other or you lives. If you are an active, worshipping member of another church congregation, it is usually possible to be married there. If you are under the age of eighteen, you must have your parents’ consent to marry. There are special guidelines on church marriage if you have been divorced: contact the vicar for more information. The legal fees for a marriage cover the publication of the banns, certificate of banns, the marriage service and a certificate of marriage. You can expect to pay something over £400 including a deposit of £50. There are options, such as bells, which will put the price up. Talk over the options with the person leading the service. There are usually one or more readings from the Bible in the service. There will also be some prayers, which you may help to choose, or you may write your own. You may also decide to have someone other than the minister leading the prayers. The minister will probably give a brief talk or sermon. The Bible compares married love with the love Jesus has for his followers. He expressed his love by being prepared to sacrifice himself, even to die for the people he loved. This is amazing, unconditional love. Jesus never said “I love you, but …”. In our marriages we can try to follow his model by loving our partners in a self-sacrificial way, putting their needs before our own. The marriage ceremony gives you a new legal status as husband and wife and a new stability within which your relationship can flourish and grow. Christians believe that marriage offers the right place for the fulfillment of our sexuality and that it provides a stable and secure environment for bringing up children. To help you to prepare for your married life together St Mary’s offers a short Marriage Preparation Course. These have proved very successful and have provided a great deal of support for couples as they prepare for their wedding day. You might also find it helpful to read a book, such as The Marriage Book, by Nicky and Sila Lee as you prepare for the big day. We would suggest you contact a local bookshop for other resources (e.g. Birkenhead Christian Bookshop on 0151 647 8743). At these sad times, please be sure of our support and prayers. 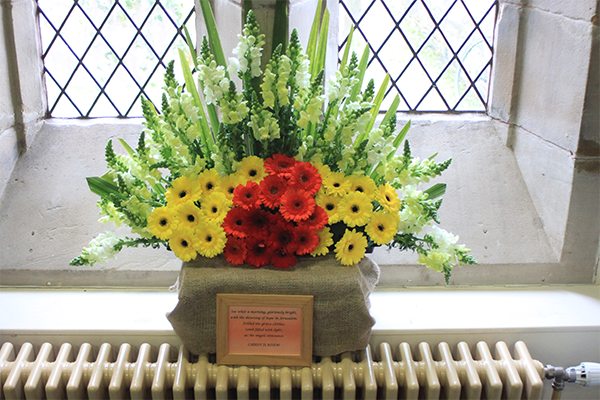 Those who lose a loved member of their family will first of all be in contact with a local funeral director who in turn will contact us at St.Mary’s to arrange the date and time for the funeral. We will visit you before the funeral to talk through the service and to walk with you at this time. Here are some prayers you might find helpful. Dear God, you know how sad and heartbroken I feel. You know how much I miss…… Please give me your peace inside and the strength to face each day. Thank you that you know all about life and death. Help me to get to know you better. Amen. and raised him to life in glory. Grant me a patient faith in time of darkness, and strengthen my heart with the knowledge of your love; through Jesus Christ. Amen. Cast all your anxieties on Him for He cares about you. Lord Jesus, I come to you at the start of this day. I am full of uncertainties. my friends; and all those who know my pain. “Do not let your hearts be troubled, believe in God”. to believe and to trust you, and to find eternal life in your words. Thank you for your love, help me to have the courage to live for you. 9am: A quiet, more formal service. 11am: Busy with children who start in the service and move into age-related groups after the start. 10.30am: Holy Communion on the third Sunday of the month, Morning Worship on each of the other Sundays. The Centre has a friendly and informal atmosphere and facilities for children. The pattern varies around Christmas and Easter. We run a different programme during August at 11am. Occasionally an event or special day is marked which can also cause a change to the above pattern.